Disclosure: I was not paid to write this post but I was given a free cookbook to review by Gooseberry Patch. Update: This post originally offered a cookbook giveaway. That giveaway is now over. 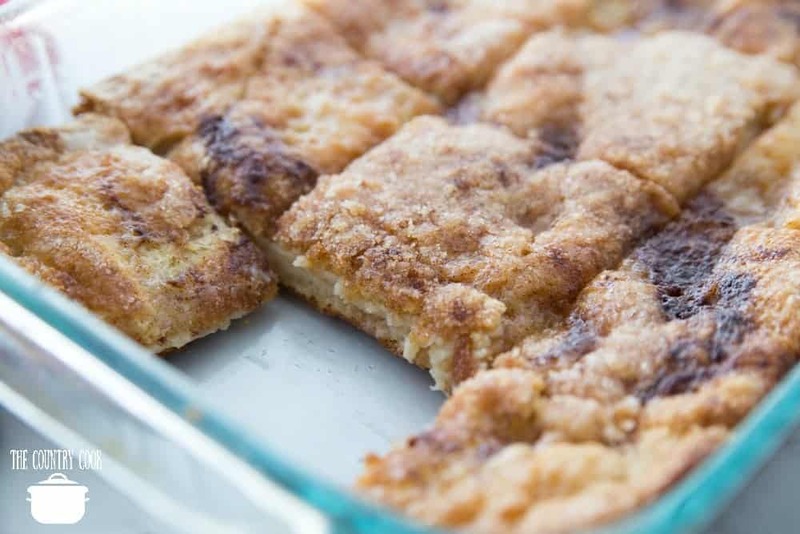 They are basically fried dough covered in cinnamon sugar. And they look like little Sofa Pillows.So this cheesecake is a take on that lovely fried dough. Except this has a cream cheese layer smushed in the middle. Oh yeah. 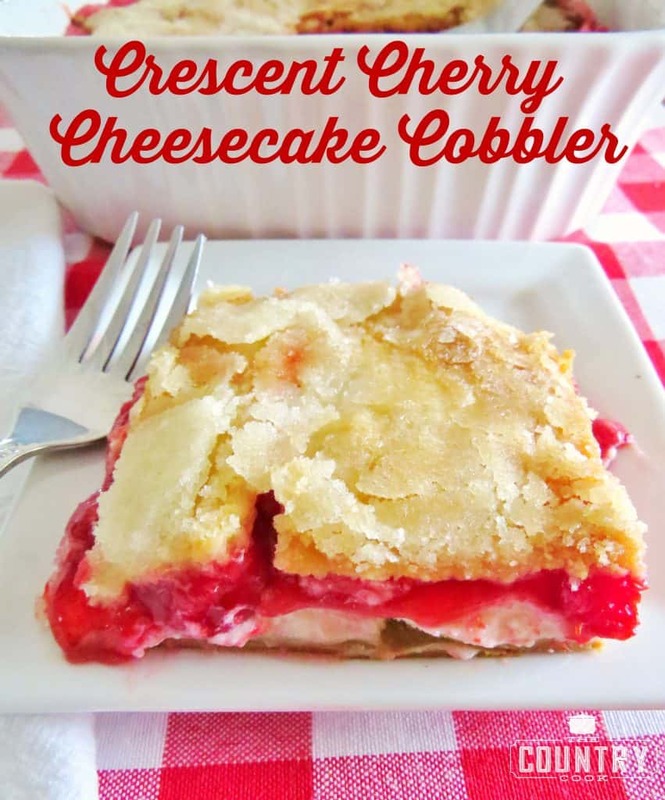 This recipe comes from the latest Gooseberry Patch cookbook, Simple Shortcut Recipes. It has over 225 recipes for “almost homemade” dishes that will save time by using convenience items and prepared ingredients. Along with the recipes, Gooseberry Patch always gives helpful tips, hints and charts to help you out in the kitchen. Like this chart that I love. 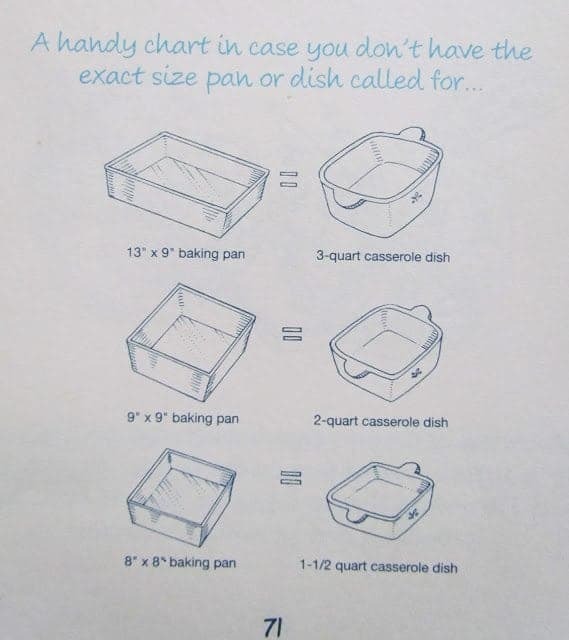 I can never remember size-equivalents for casserole dishes and baking dishes. So, as I am known to do, the first thing I did when I got my hands on this book was flip to the desserts. Because my sweet tooth knows no boundaries. 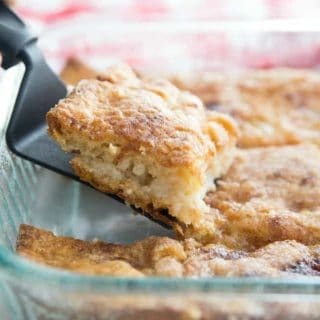 When I saw the ingredients for this I recognized this recipe immediately as one my Grandma had made for us when she was visiting last year. Except she just called her recipe Cream Cheese Crescent Bars. The only real difference was she used white sugar in the filling instead of brown. I gotta say, I kinda like it both ways. I think the white filling looks a bit prettier than the brown but the brown sugar gives it a slightly deeper flavor. Preheat oven to 350F degrees. Spray a 9×13 baking dish with nonstick cooking spray (I like the kind that has flour in it.) Unroll one tube of crescent rolls and layer in bottom of pan, pressing seams together. 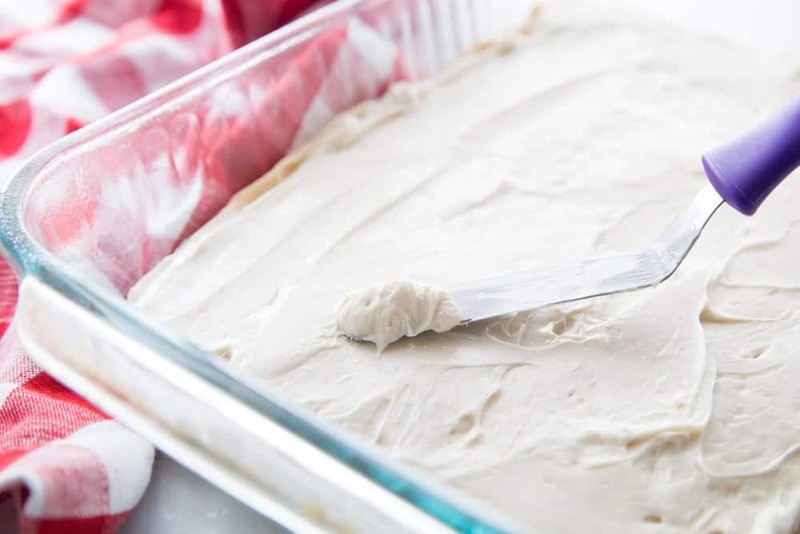 In a medium bowl, beat cream cheese, sugar and vanilla until blended. Spread cream cheese mixture over bottom layer of crescent rolls. 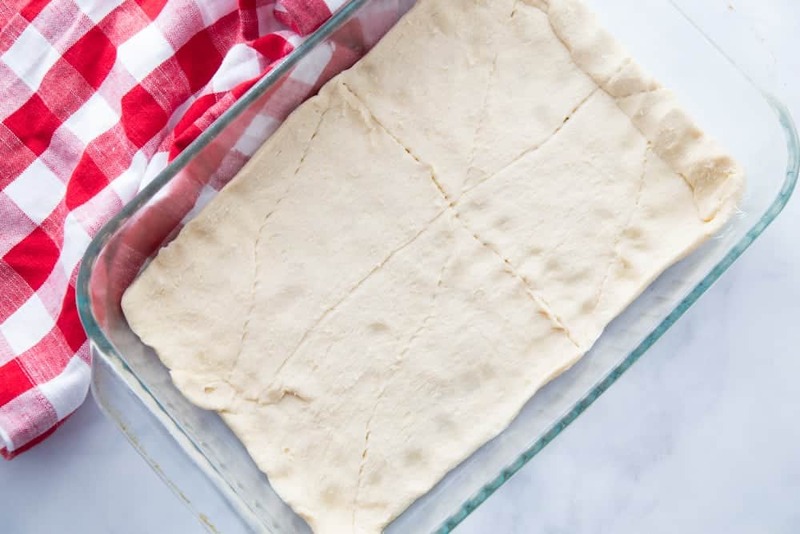 Layer remaining crescent rolls on top. 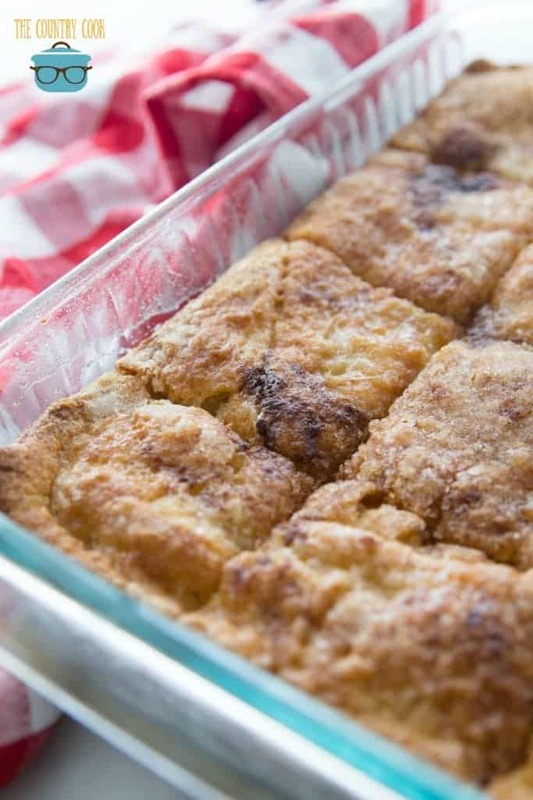 Drizzle with melted butter. Sprinkle with sugar and cinnamon. Bake, uncovered for 30-40 minutes, until bottom layer looks golden brown. Cut into 12 squares. 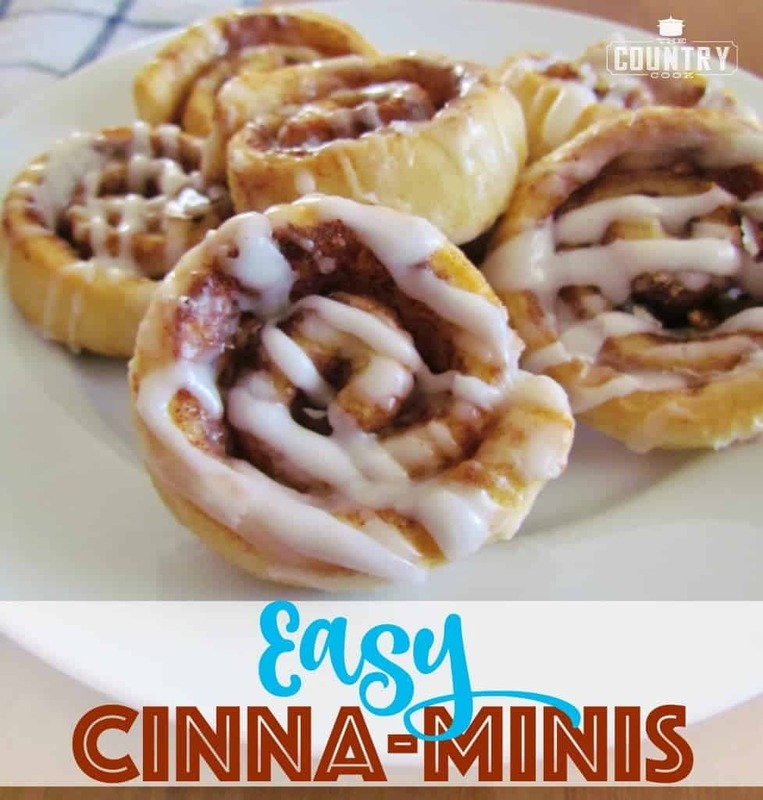 I think these are really good drizzled with honey or chocolate syrup. 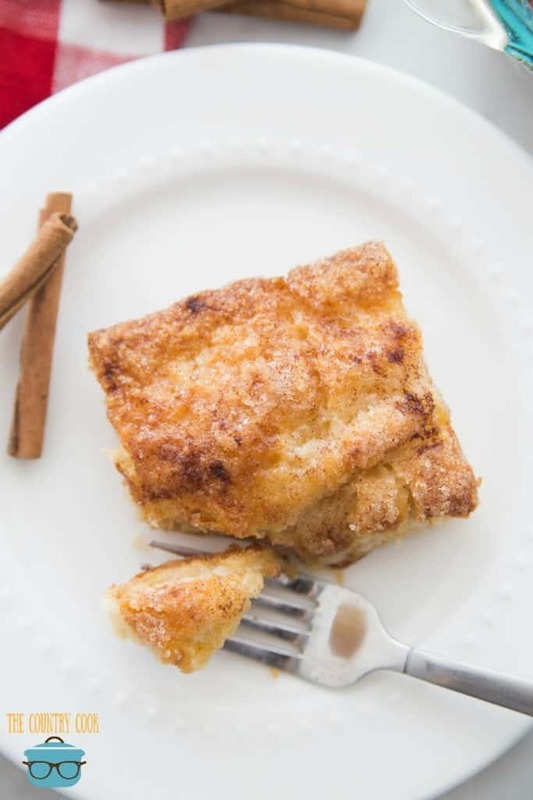 Easy Sopapilla Cheesecake is made with crescent roll dough, cream cheese, sugar, cinnamon and melted butter. 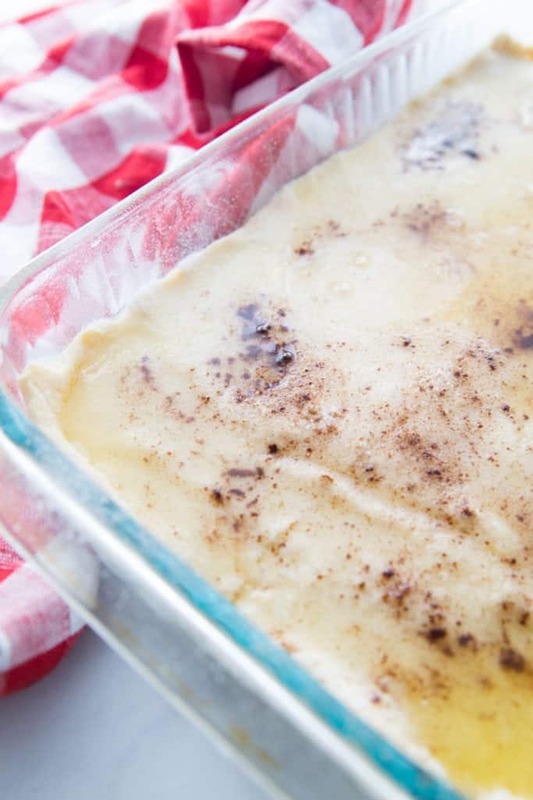 A deliciously easy dessert! Spray a 9 x 13 baking dish with nonstick cooking spray (I like the kind that has flour in it). Unroll one tube of crescent rolls and layer in bottom of pan, pressing seams together. 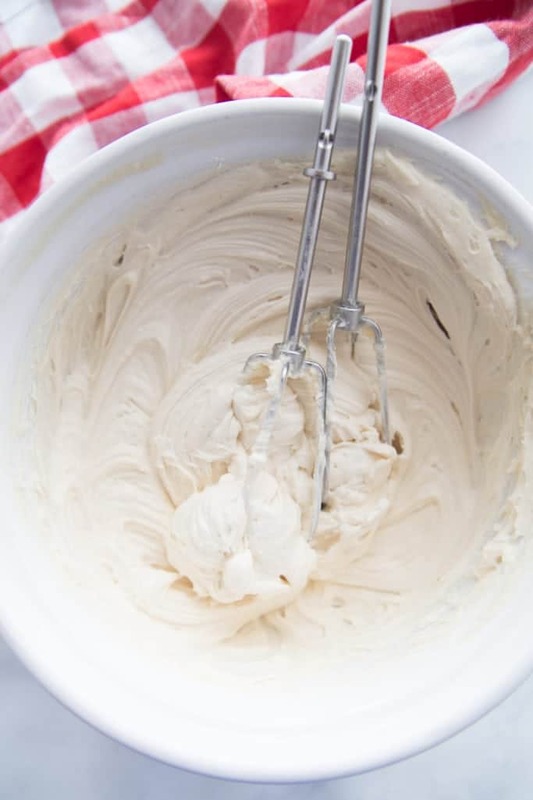 In a medium bowl, beat cream cheese, brown (or white) sugar and vanilla until blended. Layer remaining crescent rolls on top. Bake, uncovered for 30-40 minutes, until bottom layer turns golden. I'm a new step mother to 3 growing boys ages 13, 12 and 10. 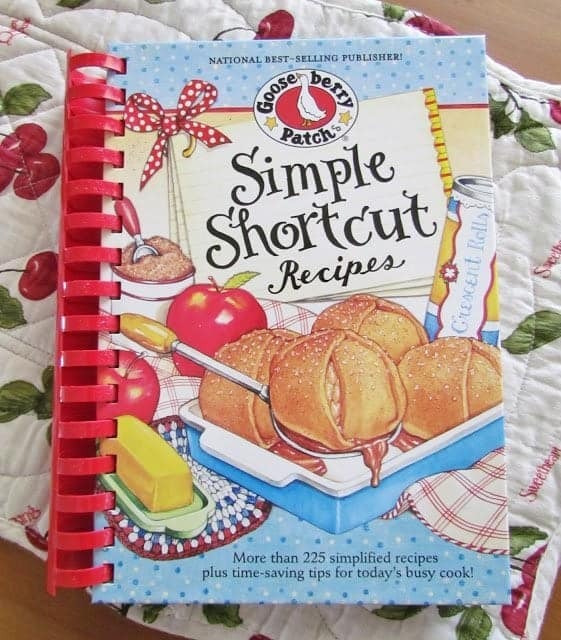 I could use a new cookbook full of shortcuts! I feel helpless in the kitchen now. I like chopping onions, celery and bell peppers and portioning them in baggies to put in the freezer. I love your recipes and have made several of them. Can i substitute the sugar for like splenda? 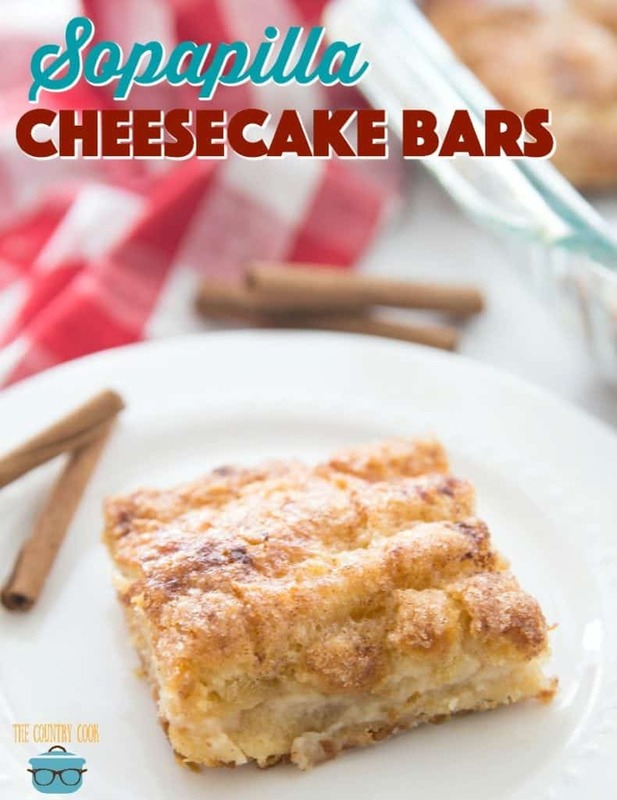 I love the cheesecake bars but i have to watch my sugar intake. I'm loving your recipes, but I just wanted to clear something up. A sopapilla is not what you describes. We eat sopapillas like bread with our meals. It is simply fried dough that puffs up. We also stuff them with beans, meat, cheese and smother them with red or green chili and more cheese. We do eat them after a meal sometimes with honey. Just giving you a little lesson in our food here in New Mexico. This has got to be one of my favorite "go to" desserts! Everyone absolutely Ooooh's and Ahhh's over it every time I whip one up! I actually made one yesterday and added a can of cherry pie filling on top of the cream cheese layer. It was sooo yummy! I omitted the cinnamon for the cherry, but I have also used apple pie filling, and I leave the cinnamon for it. 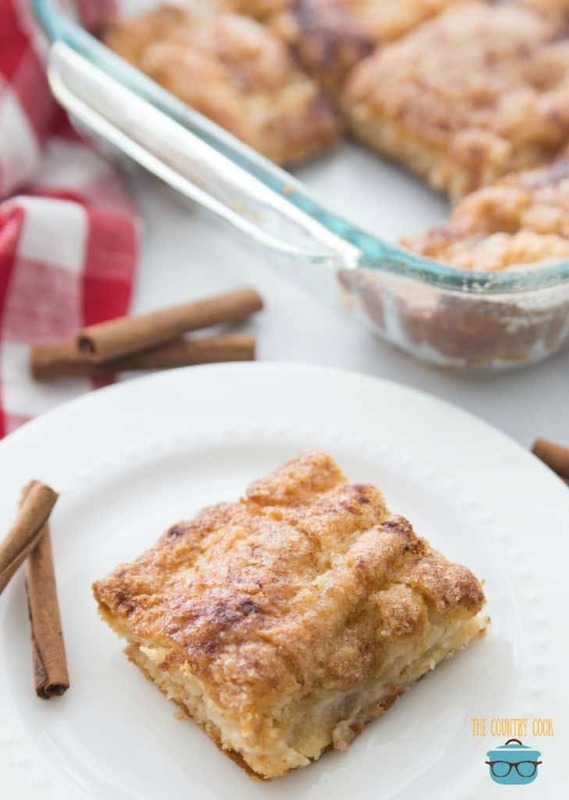 Both are a yummy twist to this already decadent dessert! Try 'em out if you haven't already! I so love your recipes for making dishes so easy to make, and I love a new cookbook. I love to use Zipper storage bags to combine ingredients together. 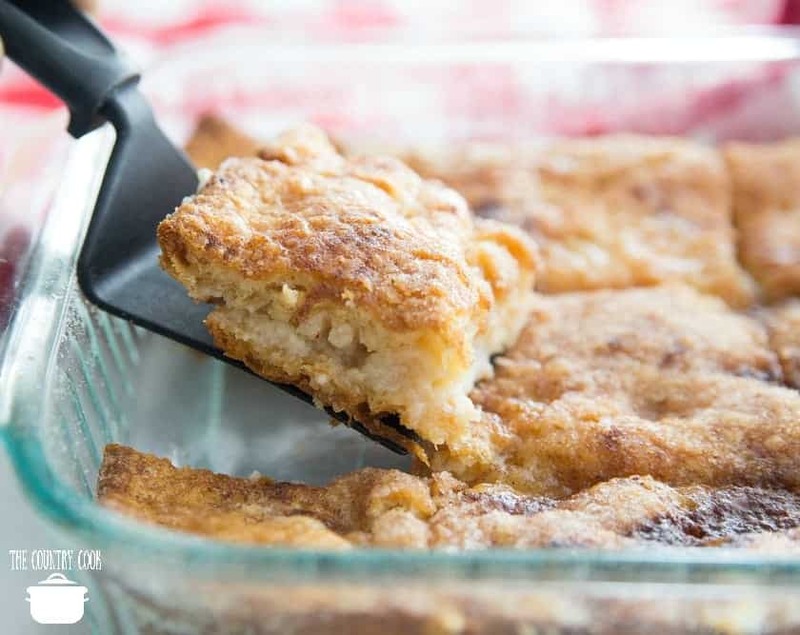 When I make apple pies or chex mix or thins like that it makes it so much easier to mix all the things together and the clean up is a breeze, I either throw it away or wash it out and use it again. When I make Chex mix I can use it 3 or 4 times in a row before the bag has to be thrown away. I love your sight I get so many new ideas for homemade food that I am always impressing my neighbors with my new dinners and desserts, until I share the recipe with them and then they see how easy it was. Anything to help save time in the kitchen is a God send to busy moms today. I love recipes that add to any shortcuts I might already have in my file. I love using pre-made pie shells to make quiche for my family or the tubes of herbs that are in the vegetable aisle now. One thing nice about Gooseberry Patch cookbooks are they use common items found on the pantry or refrigerator shelves. I have been making this for a few years. My kids favorite dessert. Sometimes I add a can of caramel apple pie filling on top of the cheesecake mixture. They love it that way. I was wondering how well you think this would freeze? I know it’s a silly question. I am the only one that likes the sopapilla. It pretty large for one person. If it freezes well it would easy to enjoy several different times just making it once. Everything I see looks great. Thanks for the recipe! 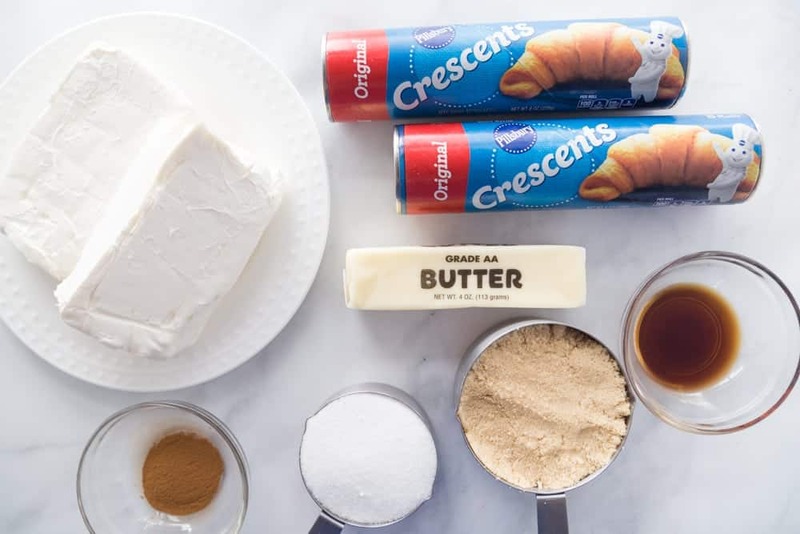 I will say I found the site hard to navigate with all of the ads, partially due to my laptop per chance, but I bring this up because the stick of butter to melt and drizzle at the end is missing on a couple of the ingredient lists. I found it, of course, in the details and I am sure everyone has butter so no biggy, but it threw me off. I thought I might be looking at 2 different recipes since the site was so chaotic. Anyway, sorry to bother. Thanks, again!